This summer, Maureen Mitchell is heading back to one of her favorite places on earth after 13 long years away. The esteemed artist is returning to Alaska to take up residence at McKinley Chalet Resort, and from June 3-9, she will live, sketch and paint in the Denali Square Artist in Residence Cabin. 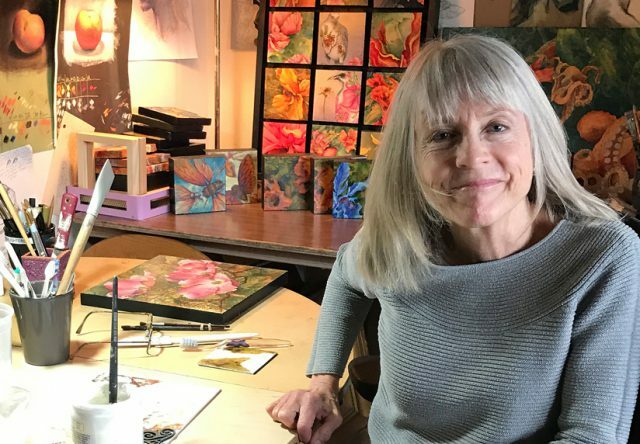 Maureen worked for Holland America Line for 20 years, and after retiring last June, was invited to be a 2018 Artist in Residence. She jumped at the opportunity to dedicate a full week to making art in Denali National Park. 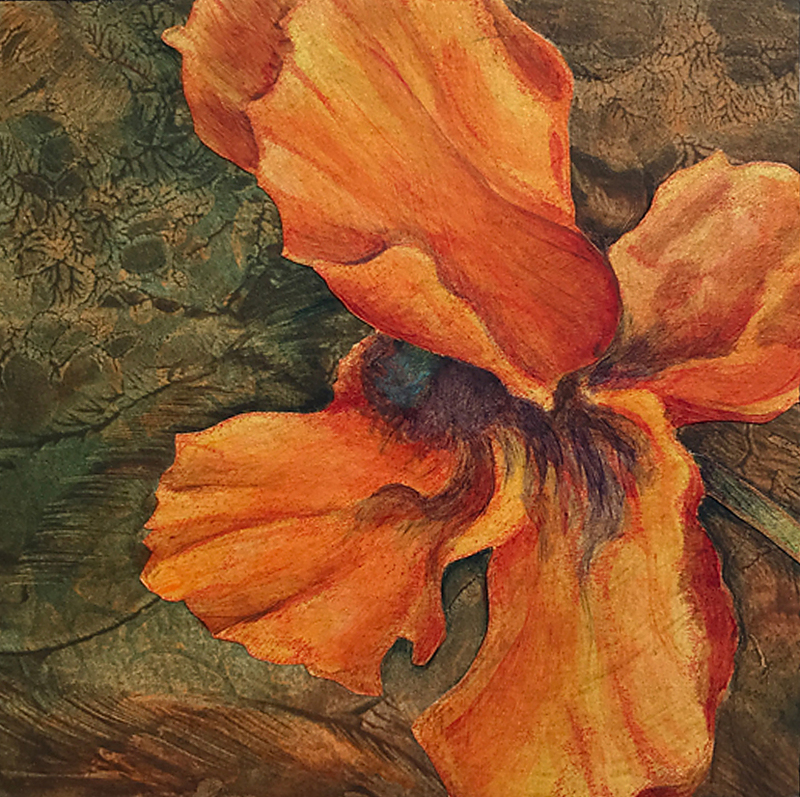 She’s most inspired by nature, and brings a background in printmaking, colored pencil and pastel to her current work in mixed media. In preparation, she said she’s been sketching like mad. She’ll be working on a new series while she’s in Denali, and can’t wait to be surrounded and inspired by the natural beauty of the park. When she’s not painting she’s planning on hiking, exploring and meeting guests from all over the world. Guests can count on seeing Maureen in Denali Square each evening from 5-9 p.m. She’ll be conducting demos and will have selected pieces of art available for viewing and purchase. If your trip doesn’t coincide with her residence, you’ll still be able to see her work – she’ll be providing one finished piece to the resort before she leaves. She’s looking forward seeing a lot of familiar faces and making new connections during her time in Denali. Learn more about Maureen at http://maureenmitchellfineart.com/.